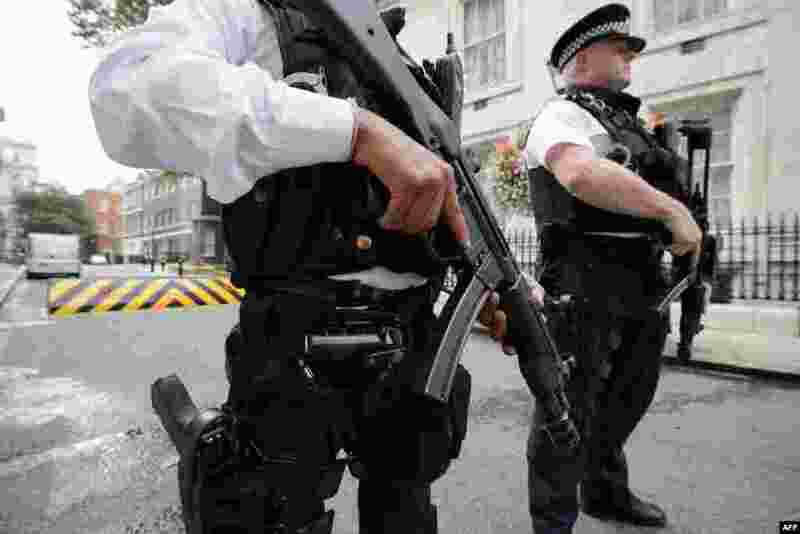 2 Armed police officers hold guns as they stand on Downing Street, in central London. Britain raised the country's terror threat risk level to "severe" due to fears over the situation in Iraq and Syria. 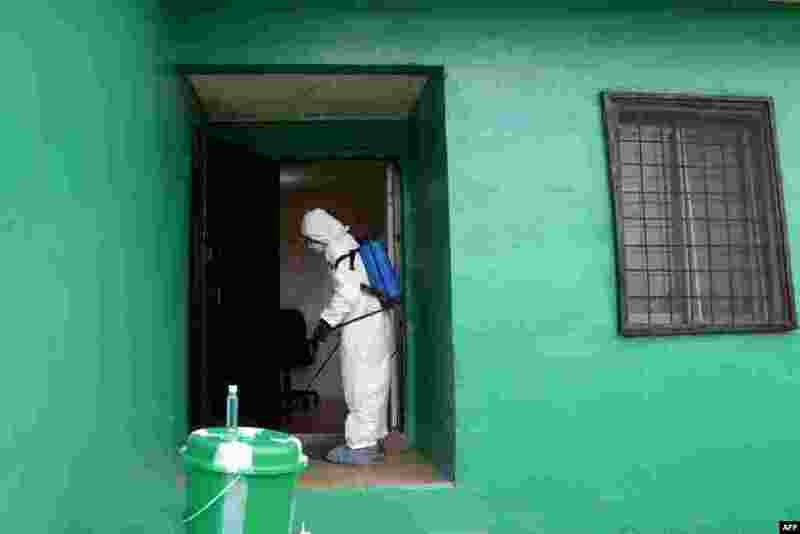 3 A health worker, wearing a protective suit, disinfects a house during an Ebola prevention drill in Monrovia, Liberia. The World Health Organization said Thursday that the number of Ebola cases was increasing rapidly and could exceed 20,000 before the virus is brought under control. 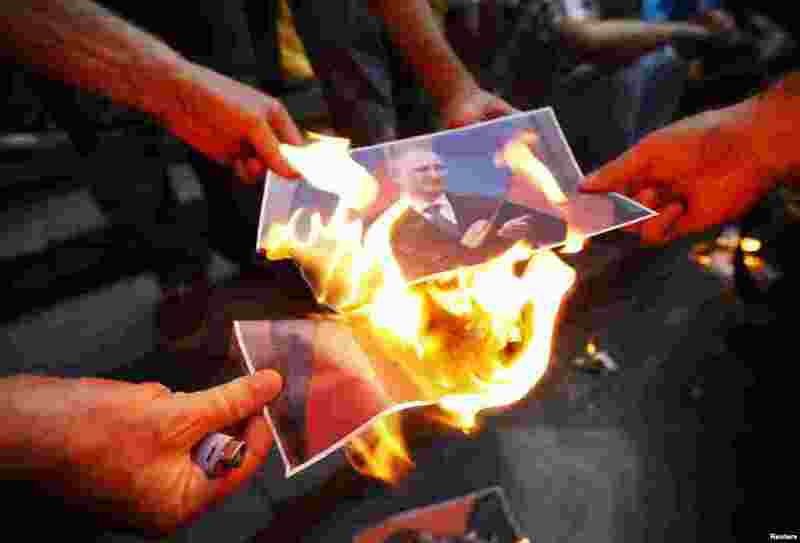 4 Protesters burn portraits of Russian President Vladimir Putin during a rally in support of Ukraine in Tbilisi, Georgia.